WHISTLER, BC November 9, 2010 - The first snow-sliding in Whistler for the 2010.2011 season is set to take place at Whistler Olympic Park when their recreational cross-country ski trails open on November 13. "November will kick off the 2010.2011 season with an Olympic-sized bang as we slide into our first winter after the 2010 Games," says Jaime Dunn, Director of Sales and Marketing for Lodging Ovations. "Whistler Olympic Park will open to the public for the first time since the games on November 13, and on November 25-27 the Whistler Sliding Centre will host the 2010 VIESSMANN FIBT World Cup Bobsleigh and Skeleton event. Wednesday, November 25 also happens to be Whistler Blackcomb's opening day for skiing and snowboarding." Whistler Olympic Park was the site of the Nordic events for the Vancouver 2010 Olympic and Paralympic Winter Games. It's ideal location in the Coastal snow belt blankets the old-growth forests and surrounding mountain peaks with some of the deepest snowfall anywhere in Canada. 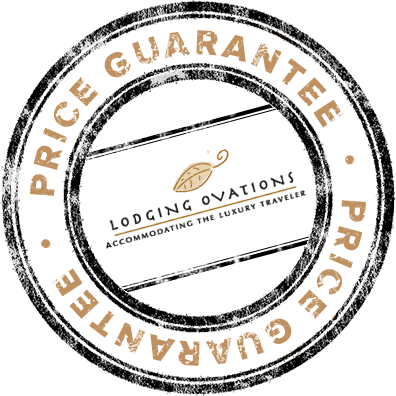 Lodging Ovation's luxury condos, Legends, First Track Lodge and Evolution, are the closest accommodations to Whistler Olympic Park and are also ideally located at the base of the Creekside Gondola on Whistler Mountain. These luxury resort properties are the ideal home base to get out and explore over 7,000 hectares of wilderness and more than 90 kilometers of recreational cross-country ski trails. One-bedroom suite rates at Lodging Ovations start at $119 per night for Whistler Olympic Park's opening weekend. Stay in the heart of Creekside all winter with 20 percent off all bookings made prior to November 15, 2010. Lodging Ovations' trio of upscale resort hotels, First Tracks Lodge, Evolution and Legends, are perfectly priced for an exciting winter experience. Rates start at $159 per night before discount. Some restrictions may apply. Visit www.lodgingovations.com for more information. Lodging Ovations, a subsidiary of Intrawest ULC, in Whistler, British Columbia, Canada, is a collection of upscale resort hotels offering guests a 'home away from home' experience. Proudly managing First Tracks Lodge, Legends Whistler and Evolution, Lodging Ovations offers a total of 275 suites ranging in size from one to four bedrooms. Based in Whistler Creekside - home of the 2010 Olympic and Paralympic Winter Alpine events, Lodging Ovations is a base point for experiencing a memorable Whistler getaway. Download this Whistler Olympic Park Opens media release in PDF format.